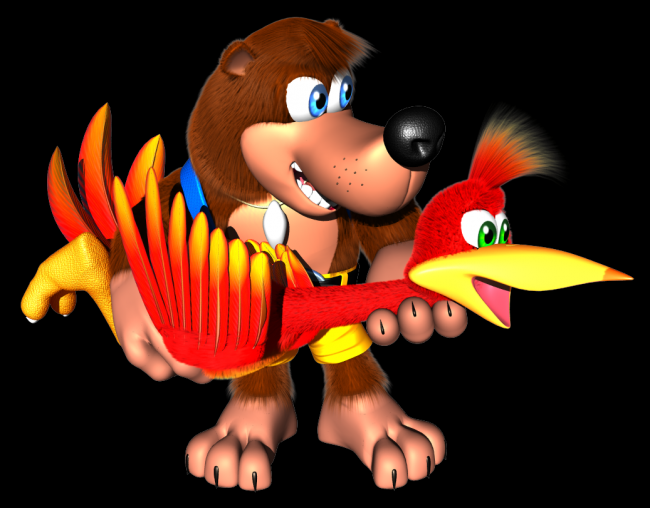 Xbox's Phil Spencer Would Love to See Banjo-Kazooie in Smash Bros.
Microsoft's Phil Spencer says it would be cool to see Banjo as Smash Bros. DLC character. The Smash Bros. community's question of whether or not Mewtwo would be a one-off thing or the herald of more DLC characters, was answered with the announcement of Lucas. At the time, Nintendo asked fans who else they'd like to see in the game, and Xbox's Phil Spencer would love to see Banjo-Kazooie's hero(s) join the battle. "I think it would be cool if Banjo was in the next SSB DLC," Tweeted Spencer. "We've worked with Nintendo on Rare IP before, no issues." Indeed, Diddy Kong himself was original conceived by Rare for it's Donkey Kong Country series, meaning that there already technically is a Rare IP character in the game. Earlier in the year, Microsoft's Ken Lobb spoke on "seeing value" in Rare's IP, after the company renewed the trademark on Battletoads. We saw the 'toads join the Xbox One version of Shovel Knight as guest characters, so having Banjo-Kazooie appear as a guest Smash Bros. character is actually a thing that could very likely happen.